Lofts on the Square — Each Room at Lofts on The Square is special and has it's own story. The rooms are uniquely named to depict historical significance of the building or of Grenada. All rooms are located upstairs (no elevator). 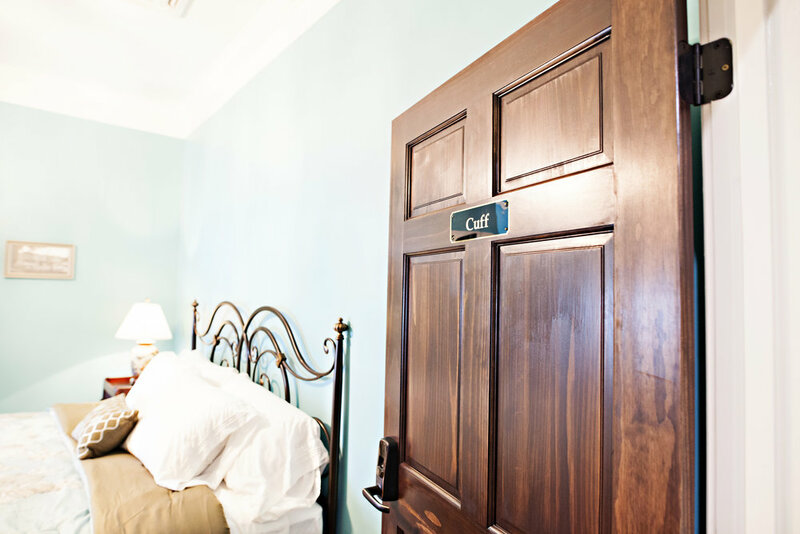 Each room features a king-sized bed, television, armoire, a comfortable secretary/desk with adequate lighting, lounge seating, WIFI, power/USB access and a private bathroom with an oversized shower. Daily housekeeping is included upon request. Named for the upscale men’s clothing store that occupied the first floor for over 100 years, this room features 2 arched windows that provide a panoramic view of the Grenada Downtown Square. 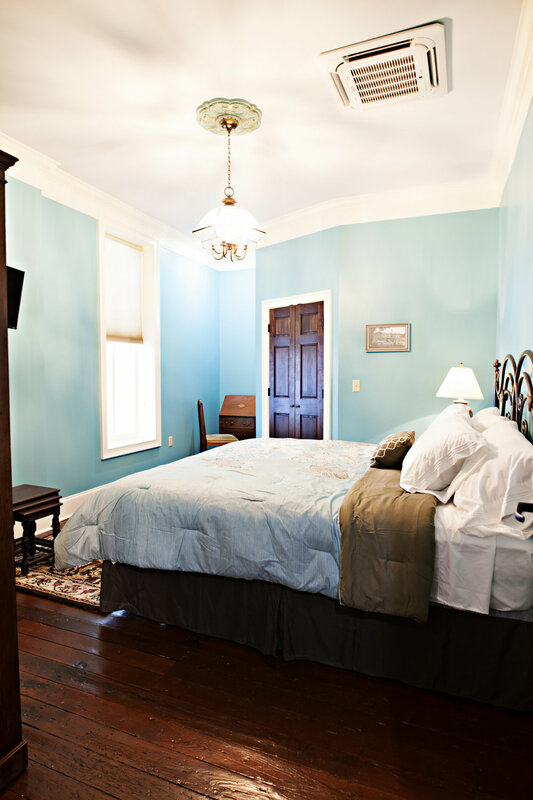 Furnished in period furnishings, including a king-sized bed and a beautiful antique armoire, this room will sweep you back to the past while providing every modern convenience. 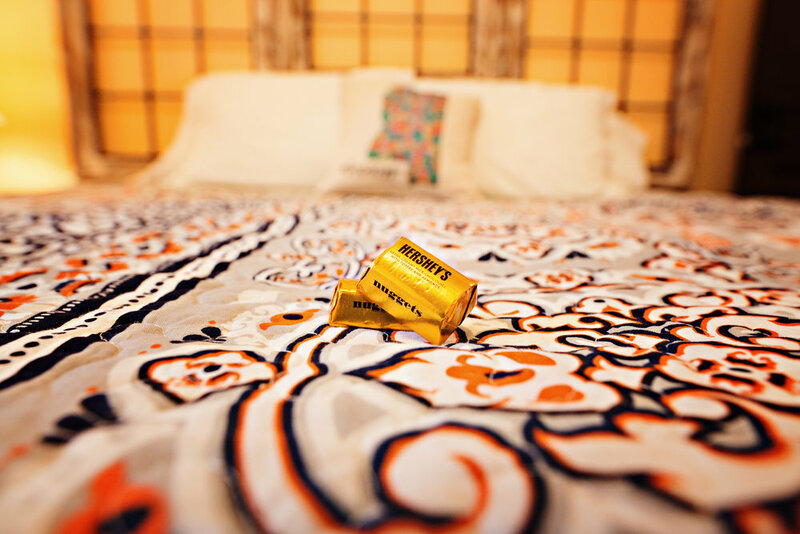 Named for one of the two towns that eventually became Grenada, this room provides a quiet, restful atmosphere for the weary traveler. This room is furnished in period furniture, including a king-sized bed and antique armoire, yet affords guests with modern conveniences. This room features a leaded glass window over the door. Incredible—is this the 1960’s? Featuring a king-sized bed with a headboard made of 3 funky windows, this is our Bohemian room. With its lime green armoire, our guest will experience the (not so far-gone) past. Features a leaded glass window over the door. This room is named for the town that combined with Pittsburg to become Grenada in an elaborate marriage ceremony. 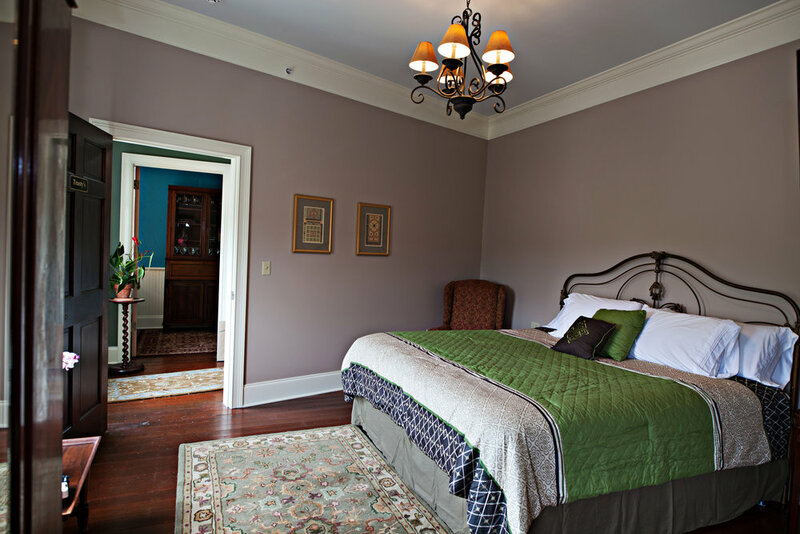 Tullahoma is quiet and peaceful, affording the perfect place for a restful night’s sleep in the luxurious king-sized bed. Features period furnishings and a leaded glass window over the door. Named for the grocer that occupied the first floor early in the life of the building, this room features an arched window overlooking the deck. 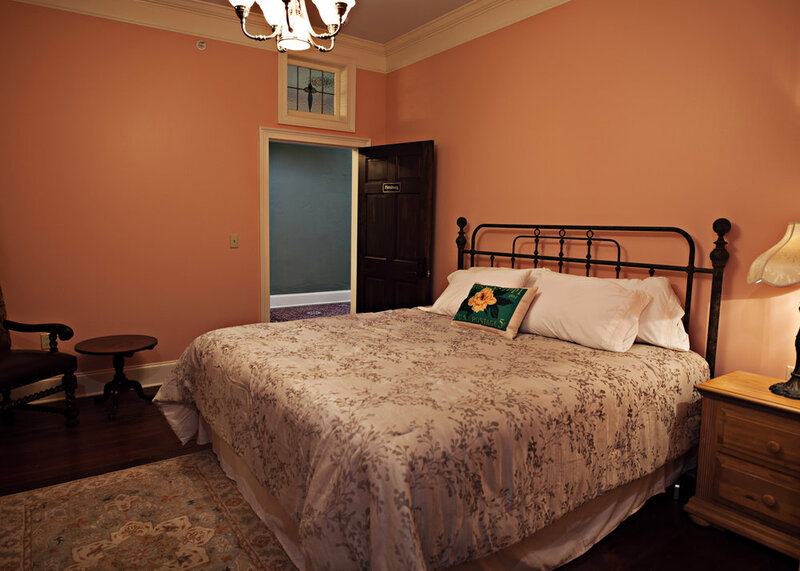 This room is furnished in period furniture which includes a king-sized bed. Hang your clothes in the lovely antique armoire. Features a leaded glass window over the door.